Newer Model Available: M Series BIPAP Plus with Bi-Flex.
" Way better than my old machine. Extra features that will make things easier. " Bi-Flex technology provides pressure relief at the end of inhalation and at the beginning of exhalation for easier, more natural breathing. Digital Auto-Trak Sensitivity technology adjusts the cycle between inspiratory and expiratory pressures to match an individual's breathing rhythm. Encore Pro SmartCard compatibility records compliance and session data. Automatic start and stop operation. DC operation with inverter; Direct DC cable will be available in the future. Smart Card Records 6 months of 3 usage sessions per day; 7 days in-depth data analysis. Data storage content includes date, time, duration at pressure, event histograms (snores, apnea, hypopneas), short-term detailed events, long-term trends. 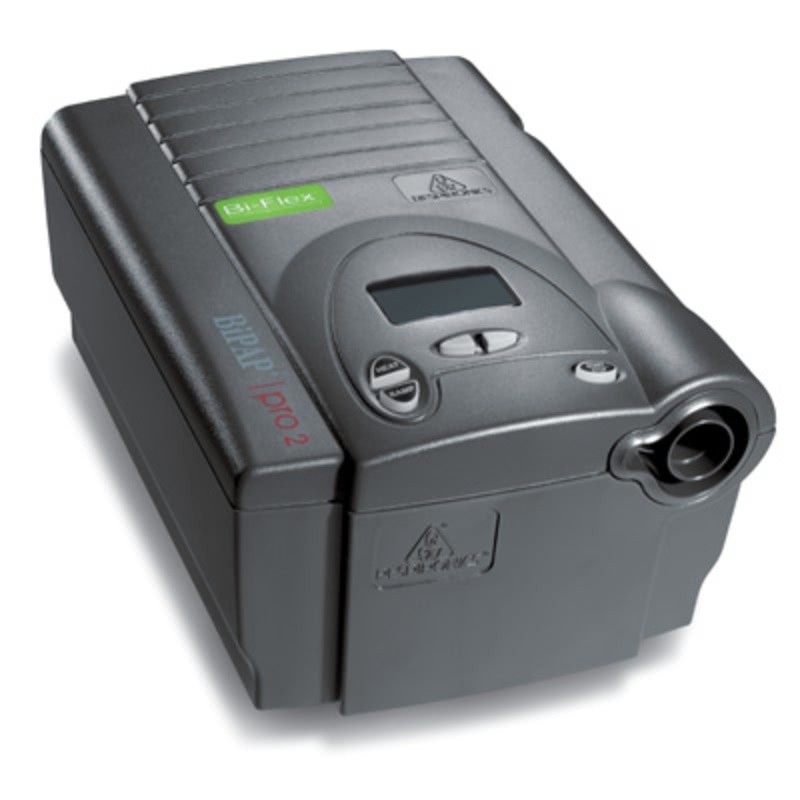 The BiPAP Pro 2 is an upgrade of the BiPAP Pro. It has been redesigned to integrate with the REMstar Heated Humidifier as the REMstar line of CPAPs does. 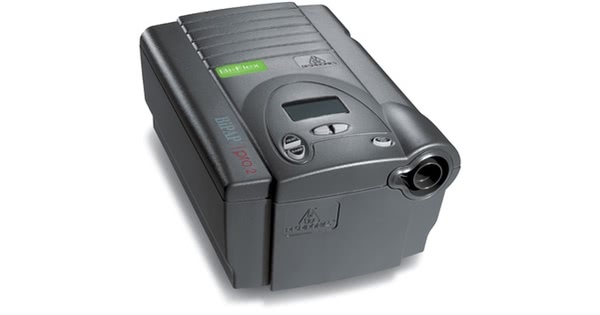 It is a great bilevel machine and the additional purchase of the Encore Pro software and card reader will provide information on mask leaks, apnea/hypopnea and snoring events. 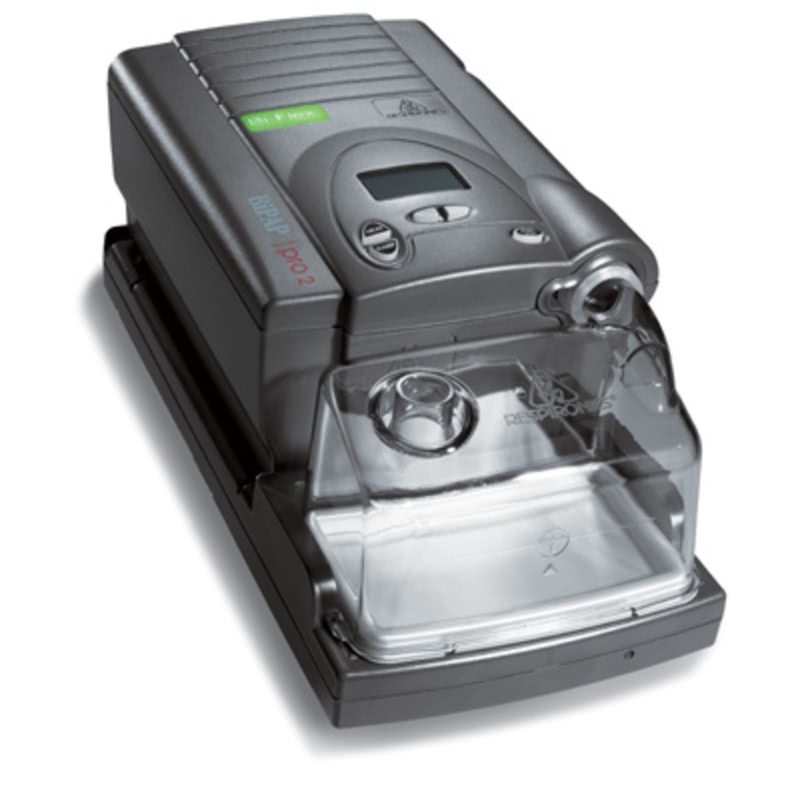 The user manual included with this machine can be viewed and downloaded here: REMstar BiPAP Pro 2.